Echo Pad is a real-time Echo effect processor featuring a unique delay + sound on sound looper controlled by a multi-touch XY interface on your iPad, iPhone, and iPod touch device. Who needs another whack, sterile digital delay to strum generic radio rock riffs with? No one. Adding to the fun is a no frills sound on sound looper, perfect for quickly looping and layering guitar riffs or vocal melodies, glitching live audio input, building layered ambient soundscapes and more. 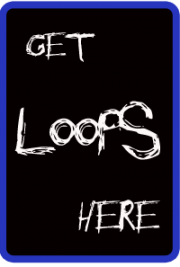 Loops can be quickly bounced to an audio file for sharing with other apps. 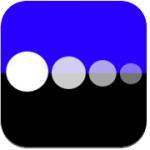 Echo Pad is a Universal app that supports Audio Copy/Paste (General Pasteboard) for quickly sharing loops and recordings created with Echo Pad with other audio apps, as well as playing back and processing pasted audio from other apps through Echo Pad’s effects. You can also export a loop or recording directly into the AudioShare file management app by using the “Export to AudioShare” functions. This exports your loop or recording directly into the AudioShare app without needing to use AudioCopy/Paste, for a super fast workflow. Additionally, recordings and loops can be exported to iTunes FIle Sharing for access on your Mac/PC. – Paste audio into Main Looper. Paste audio to be automatically recorded and looped in the main sound on sound looper. – Paste audio to scratch loopers. Paste audio from other apps to load directly into the scratch loopers using AudioPaste. – Export/AudioCopy Scratch Loop to Pasteboard. Export and AudioCopy current contents of scratch loopers to the pasteboard. – Export Scratch Loop to AudioShare. Export current contents of scratch loopers directly to AudioShare. – New delay type: “Shimmer” octave up pitch shift delay, inspired by my favorite blue pedal (rhymes with ES-3). – delay hi pass/lo pass filter control (the red circle) is now controlled independently, no longer requires first finger to be onscreen. – “Output L.P. Filter” replaces previous “Input L.P. Filter”. This now filters the master output, and can be modulated by the L.F.O. * supports NEW “Export to AudioShare” functionality. * LFO assignable to delay time, input filter, volume. Great for subtle to extreme modulated echoes. *Toggle slider control panels for access to full parameters. * Save and recall effect settings. *BPM sync for rhythmic delays. *Tap tempo to set delay time and global BPM. *Sound on sound looper for quickly capturing and layering sound.